Grab these Free End of the Year Task Cards to keep your kids thinking right to the end. These cards are a great way to reflect on the year. Each one features a different prompt for discussion or writing! 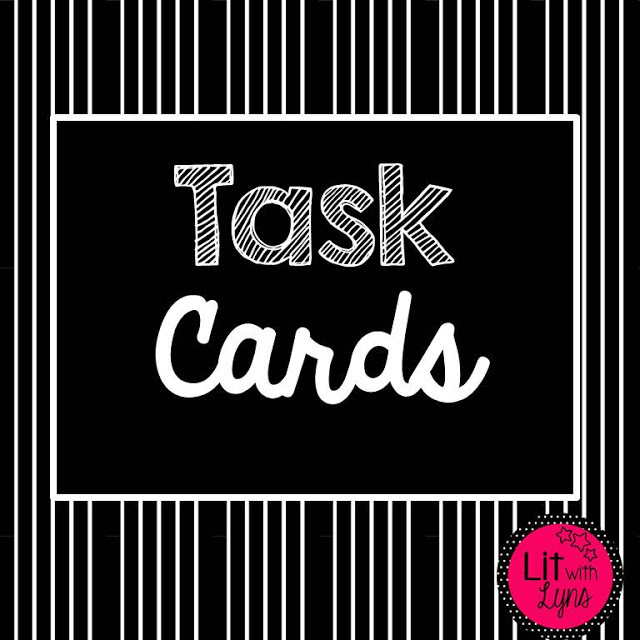 There are 20 prompt cards, plus four bonus cards that go a little deeper and require students to write a letter. You are sure to learn a lot about your students and their experience over the course of the year with these cards! If you have been using these cards, I would love to know how it is going! Please reply with a comment. 20 Back to School Writing Prompts Using Task Cards in the Classroom BOOM! A Free Game to Use with Task Cards! 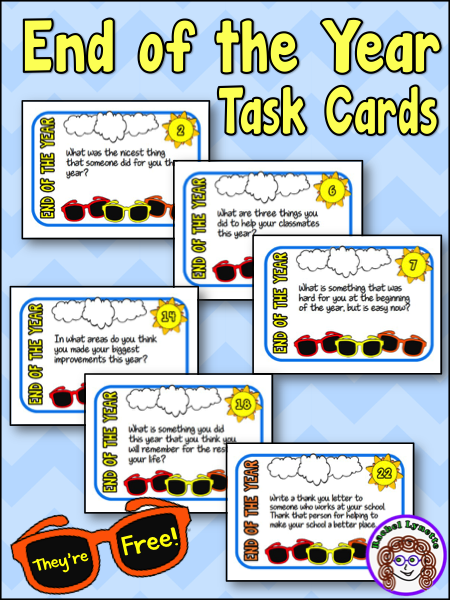 31 Terrific Ways to Use Task Cards with Your Students 3 Free Game Boards!